Introducing a brand new show from the team behind Masters of Scale: Should This Exist? You can marshal the power of millennials to grow your company, but you have to redefine your concept of loyalty. To keep millennials as users (and employees), you’ll need to keep evolving — and help them evolve. No one understands this better than Brit + Co Founder Brit Morin. As a maker and media creator, Brit is constantly co-evolving with her (mostly millennial) audience—and team. It’s a secret to scale with the generation adapted to a world of constant change. | With a cameo appearance by relationship therapist Esther Perel (Bestselling author and Host of the podcast “Where Should We Begin”). Esther has lately turned her eye toward work relationships; her perspective on the millennial generation — and the broad social trends that have shaped their collective character — may give you an “Aha!” moment. You can scale big with a simple idea (and a tiny team!) — but only if you catch the prevailing winds. That's what Kevin Systrom did when he co-founded Instagram: The simple photo app tapped the right trends, built on larger social networks, and dodged the complexities that would have slowed them down. The result? 30M users in 18 months. And a $1B sale of a 13-person company. With a cameo by Rohan Gunatillake (Buddhify). Can't find the star employees you need? Then make them. That's what Marissa Mayer did when she founded the Associate Product Manager program at Google — one of the company's crown jewels. She mentored a team of young, hungry, talented employees in the ways of Google, and they helped drive its success. She followed that same mindset when she became Yahoo CEO, a role she reflects on in the show. With a cameo by Karen Kirkland (Nickelodeon). Masters of Scale returns on Wed July 11th with Season 3, featuring the entrepreneurs who wrote the rule book of Silicon Valley - as well as the ones who challenge those rules. We'll hear hard-won insights from the founders of Spotify, Instagram, TaskRabbit, Shake Shack, Glossier and Zynga. Plus Tory Burch, Gwyneth Paltrow, Arianna Huffington, Marissa Mayer, and Dara Khosrowshahi, the new CEO of Uber. You can learn more at MastersofScale.com. To find your big idea? Look for it. And look for it. And be ready to act. Spanx founder Sara Blakely was actively seeking a business idea when she thought of Spanx. Then she moved fast, found help in the right places, and went all-in. The result: A billion-dollar company & women's wardrobes transformed.. With cameos by National Geographic explorer Andrés Ruzo, former Director of the US Patent & Trademark Office Michelle Lee, and Endeavor CEO Linda Rottenberg. You can make your social impact and your bottom line work hand-in-hand. But you'll have to be as creative and innovative about your company's values as you are about the business itself. Howard Schultz, chairman and former CEO of Starbucks, not only changed how America wakes up, but set new standards for employee benefits. From offering free college tuition to American employees, to providing health care for employees' parents in China, Howard has always been one step ahead of the social impact curve. Guest host Tim Ferriss shares advice you'll want to etch into stone: The 10 Commandments of Startup Success. We teamed up with Tim's eponymous podcast, the Tim Ferriss Show, to bring you this special remix. 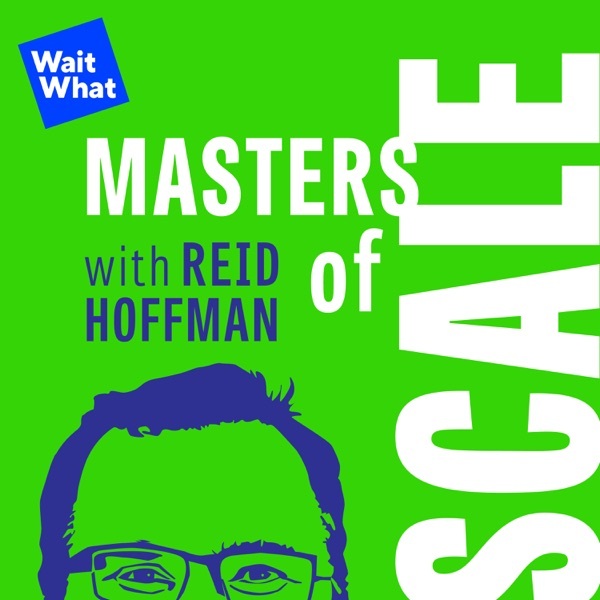 You'll hear actionable lessons from every episode of Masters of Scale Season One, including previously unaired insights from Airbnb's Brian Chesky, Facebook's Mark Zuckerberg, Endeavor's Linda Rottenberg, and more. The price that bleeds your business could also save it. When you invent something innovative, you can’t know how to price it on day one. First, get people in the door — get a LOT of people in the door — even if you have to price your product fatally low at first. In this episode, ClassPass Founder and Chair Payal Kadakia shares their winding path to pricing and how it revealed what was invaluable about their service. Forget being a unicorn. Learn to be a “Phoenix.” Your company can last 100+ years — but you'll need the resilience to rise and fall, and rise again. Fiat’s Chairman John Elkann shares the principles that allow the "horseless carriage" company founded by his great-grandfather survive the ups and downs of a century of business (including competitor attacks, leader shakeups, financial crises and more). One key: Resilience. Another: Deciding which company traditions to keep, and which to leave in the past. Featuring cameos from Radio Flyer's Robert Pasin, Cue Ball Ventures' Tony Tjan and ABC Home & Kitchen's Paulette Cole. Whatever you are when you're small gets amplified when you grow. So if you're staring any kind of online community (social media, e-commerce, crowd-funding...) be careful what you cultivate. Caterina Fake has founded or invested in companies with the most interesting and influential communities - Flickr, Etsy, Kickstarter, Stack Overflow, even Blue Bottle Coffee. Her wise words for every founder: You have has a responsibility to shape the community from day one -- because the tone you set is the tone you’re going to keep, even as you go viral. To move from one success to another, you have to learn to unlearn. Take everything that helped you win the first time, then discard it and learn a new way. That's how Barry Diller, titan of "old" media (ABC, Paramount, Fox), mastered the new dot-com world—with everything from Expedia to Match.com. Part 2 of "Be an Infinite Learner." With Uber's Dara Khosrowshahi and serial entrepreneur Margaret Heffernan. “If you’re laughed out of the room, it might actually be a good sign.” Entrepreneurs inevitably face a lot of rejection — as does anyone championing a big new idea. But the different ways that investors say “no” could reveal valuable clues about your idea’s potential. Sometimes, it's proof you’re in a space that’s ripe for the taking. Featuring Bevel Razor/walker & Co's Tristan Walker, The Muse's Kathryn Minshew & Hint Water's Kara Goldin. The Masters of Scale team brings you a special blend of leadership tips from season one guests — including clips we haven’t aired yet. In this bonus episode, we’ll share our favorite insights from Facebook’s Mark Zuckerberg, Y Combinator’s Sam Altman, Zynga’s Mark Pincus and more. If you try to put out every fire, you’ll only burn yourself out. The best entrepreneurs? They let fires burn. Knowing which problems not to solve is just as critical as knowing which problems must be solved. You won’t have time to sit down and assess every blaze burning around you. And good luck ranking your startup’s problems from most to least severe. The reality is problems flare up unexpectedly and on a daily basis — yesterday’s whisp of smoke might be today’s five-alarm fire. So you have to conserve energy for the biggest blazes, and learn how to sleep easy while other fires smolder around you. That means you can ignore emails, tolerate buggy code, risk server outages and even ignore customers until their complaints hit fever pitch. What’s the secret to Silicon Valley? And can any other region nurture such a thriving startup scene? Linda Rottenberg, CEO of Endeavor, makes the case that a startup culture can be nurtured almost anywhere, so long as you have the raw ingredients — namely, a few initial entrepreneurs with access to capital and a willingness to pay it forward. Bear in mind that Silicon Valley is so much more than an archipelago of thriving tech companies. It’s actually an ecosystem — one that’s deeply interconnected and self-reinforcing. Silicon Valley companies constantly swap talent — investors, entrepreneurs, hackers and managers — as they grow from seedlings to huge proportions. And any up-and-comer would have to do the same. Today, no region can match Silicon Valley’s collective wisdom for scaling a business. But — from Buenos Aires to Boston, Tel Aviv to Shenzen — there are fledgling startup scenes that could ultimately give Silicon Valley a run for its money. Host Reid Hoffman visits Netflix's headquarters for an extended interview with the company's founding CEO, Reed Hastings. They discuss the distinctive culture that enabled Netflix to leap from DVD's to online streaming to becoming a content-production studio that blends the wisdom of Hollywood and Silicon Valley. In this extended interview, Nancy Lublin, founding CEO of Crisis Text Line, shares insights from her restless career as a serial entrepreneur, recruiting armies of volunteers to the causes she’s passionate about.